I received this via Miriam who is concerned about plans in regard to the Hawthorn Bowling Club. I tried searching the Boroondara planning registry but without success. 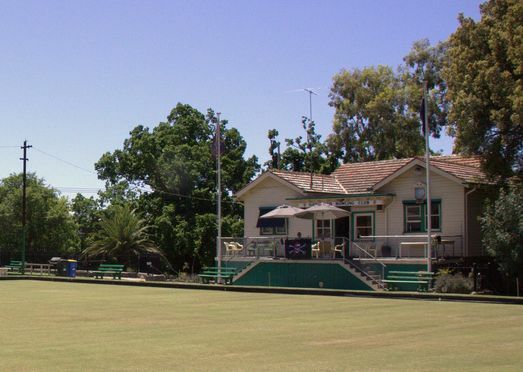 Council has plans to demolish the Hawthorn Bowling Club building in St James Park and replace it with a modern facility. Council is discussing this with the Club, which is considering its options. I believe the current clubhouse has heritage and aesthetic value and could be renovated (with the assigned funds) in order to preserve the current street scape at the east end of St James Park. I further believe this landscape contributes to the amenity of the whole West Hawthorn community and Council should have consulted us before making pre-emptive decisions about this site. Plans for this were lodged prior to Christmas and the developers applied to VCAT before council made their decision. Local residents were not informped and there has been no community consultation. Boroondara Council refused the permit and will be fighting this at VCAT. A small number of residents have agreed to engage Nick Crawford from TP Legal, a town planning lawyer to present the residents case at the 6 day VCAT hearing on the 30th April. Contributions are sought to cover this cost from interested residents. Please see this information sheet for further details. Planning Minister Justin Madden today officially launched a brochure to mark the 120th anniversary of the Auburn Uniting Church Complex in Hawthorn. See Premier’s website for details. A couple of items of interest are on the agenda for this upcoming meeting: Endorsement of the Draft Glenferrie Structure Plan for Community Consultation and the Assessment of the Burwood Road Heritage Precinct (up near Swinburne). The meeting is on at the Camberwell Office in the Council Chamber 4 Inglesby Road, Camberwell on Monday 21 September 2009, commencing at 8.00pm (see the Boroondara website for details and the agenda). The final version of the above study is on exhibition with comments invited. A copy of the report can be seen at the Hawthorn Library or at the service centre at Hawthorn Town Hall. This is a good news story for a change! The study proposes a West Hawthorn Village Precinct to be subject to a Heritage Overlay under the Planning Scheme. The proposed Precinct extends from the railway cutting to Power Street, on the north side of Burwood Road, and from Morang Road to No. 86 on the south side of Burwood Road. That covers everything except the new buildings associated with Hawthorn Square. This proposal for added protection for the heritage buildings in the Centre is particularly timely as the height controls for the Centre sought under the Urban Design Framework have been diluted by the Minister. He has not accepted mandatory height controls here, only “general” height controls. These will be vulnerable at VCAT, so Heritage controls would be of great value as an extra form of control. If you favour this overlay I urge you to submit comments indicating your support for the proposal. Comments should be submitted to Katherine White at the council by Friday, March 20, although submissions received next week will probably also be accepted. Email address is Katherine.White@boroondara.vic.gov.au Her phone number is 9278 4535. The Heritage Study also proposes an Precinct for almost all of Manningtree Road and extensions to the existing Morang Road/ Evansdale Road Precinct.